Lieutenant Colonel Robert A. Shaw was born in Belleville, Ontario. He was raised and educated in several areas of the Province, graduating High School in Midland, Ontario in 1977. In 1977, LCol Shaw enlisted in the Canadian Forces Military Police serving in BC and Ontario until leaving the regular forces in 1984, to pursue a career with the Ontario Provincial Police. In 1986 he joined the Canadian Forces Reserves and was commissioned into the 1st Hussar’s Regiment, Royal Canadian Armoured Corps (Reserve). He served in a number of units and headquarters across Ontario as he completed higher-level training and progressed through the ranks. 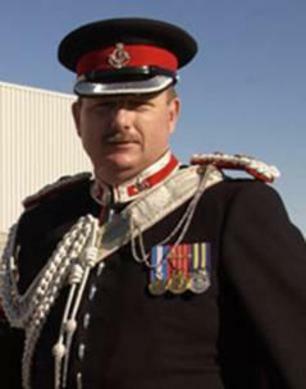 LCol Shaw commanded the Governor General’s Horse Guards (GGHG), Toronto from 2001 - 2003. 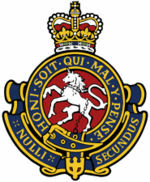 LCol Shaw is a graduate of the Militia Command and Staff College, Kingston (2000) and the Canadian Forces College, Joint Reserve Command and Staff College, Toronto (2006). Since joining the Ontario Provincial Police in May 1984, LCol Shaw has served throughout the Province performing both uniform and detective duties. Commissioned to Inspector in 2000 he is currently Commander, OPP City of Kawartha Lakes Detachment. In February 2007, LCol Shaw deployed with the Canadian Forces to the Combined Security Transition Command - Afghanistan (CSTC-A) part of US Central Command. Promoted Colonel, while so employed, he served in CSTC-A while establishing a new Command within the Afghan National Police, the Kabul Capitol Police Command, a force of over 10,000. In June 2007 he and his team were transferred to Combined Joint Task Force Phoenix where he served the remainder of his tour as the senior advisor to the Chief of the Afghan National Police for the Kabul Capitol Police Command. LCol Shaw returned to Canada in August 2007. He is currently employed in 32 Canadian Brigade Group Headquarters in Toronto. He is also the Deputy Director Armour – Reserve and Vice President (Central) of the Royal Canadian Armoured Corps Association (Cavalry). LCol Shaw is married to the former Janice Larade and they have two children aged 19 and 21. They reside near Barrie Ontario.